Today on my blog I will introduce you to a different side of my cooking. This isn’t my usual decadent and totally fattening dessert who’s description, however vivid, is written solely based on the reviews and word of others. Nor is this a healthful recipe that I eat when trying to lose weight. No, this is my guilty little pleasure. My latest addiction, in the interest of full honesty. You may have noticed based on the number of peanut butter based treats on this blog that I adore the combination of sweet and salty. True, those treats are made so I can live vicariously (or simply fatteningly) through others, but still, I make what I want to eat. Not these. I made a batch of these and didn’t share them. Not one. They were my little secret. Until now. I figure I am safe sharing the recipe with y’all now that the batch I made are gone, and nobody will come running for the rest. Sorry people, these were too delicious to share. 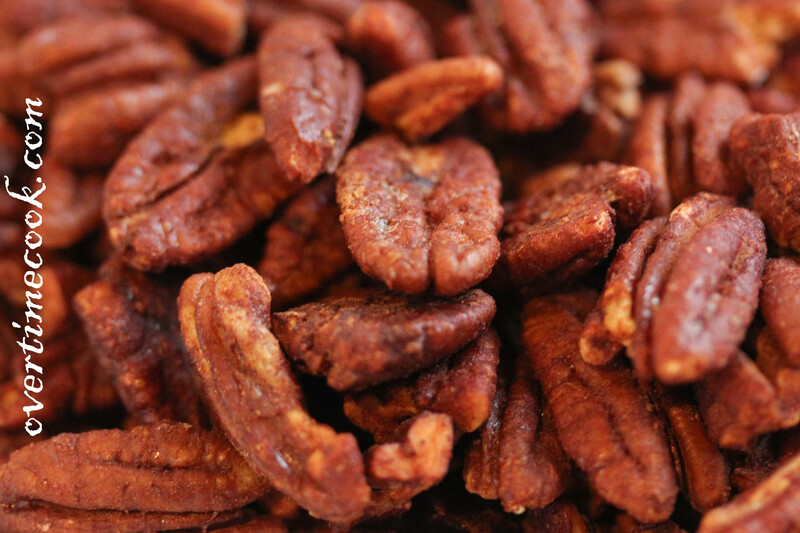 Plus, nuts are healthy, so they’re practically a diet food. Erm, almost. Sort of. In a way. Because I have a macro lens. And I can take such a close up picture. Combine all ingredients in a large mixing bowl. Stir to evenly coat nuts. Spread in a single layer on prepared baking sheet. Bake at 350 for 8 to 10 minutes, stirring after about 4 minutes. Keep an eye on them after 7 minutes, as they burn quickly. *Note about agave syrup: you can substitute honey for the agave syrup, but use a bit more as agave is sweeter. 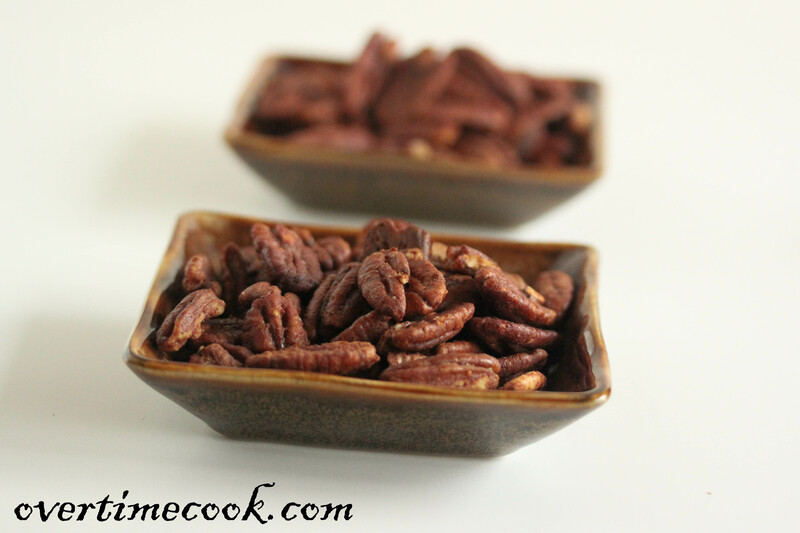 Pecans are one of my favourite nuts. 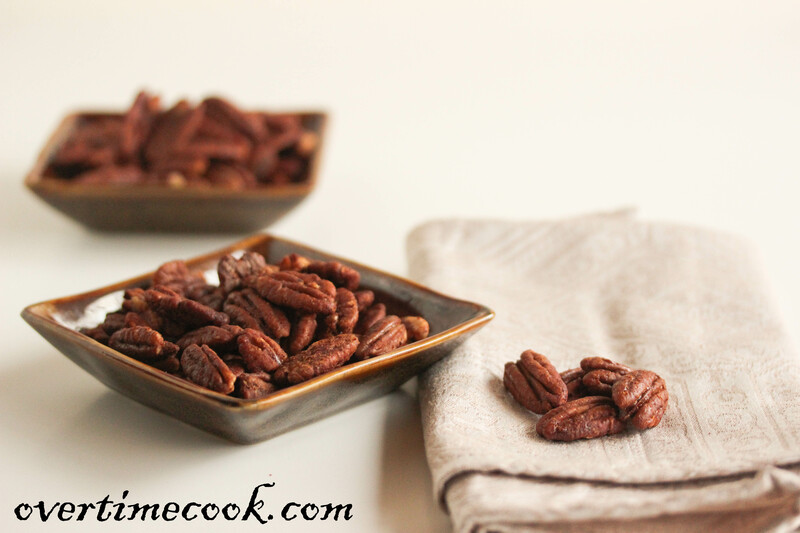 I love adding them to my baking and I really enjoy just eating handfuls of them. This sweet and salty recipe for them sounds great. What a great little snack, or something to put out to have with drinks – if you want to share them!